Elspeth Smellie has been performing, singing, composing & teaching the Scottish harp or clarsach for over 30years. During that time she has built up a rich & happily recognised repertoire of music & song which crosses several genres. Her musical career has varied from playing for the Dalai Lhama & the Queen to playing in a forest in Argyll! Her work includes radio, theatre & television, playing at various festivals at home: ‘Celtic Connections’ Glasgow, & abroad ‘Folkest’ N. Italy & Croatia to give two examples. She has played & recorded with various musicians over the years: ‘BEL’ (a women’s trio), ‘Jingz’ & ‘The Border Tunesmiths’. Her theatre work includes the Edinburgh International Festival & theatre companies in the Scottish Borders. Throughout the year she teaches harp privately & in schools, holds workshops & plays at corporate events, concerts & weddings. 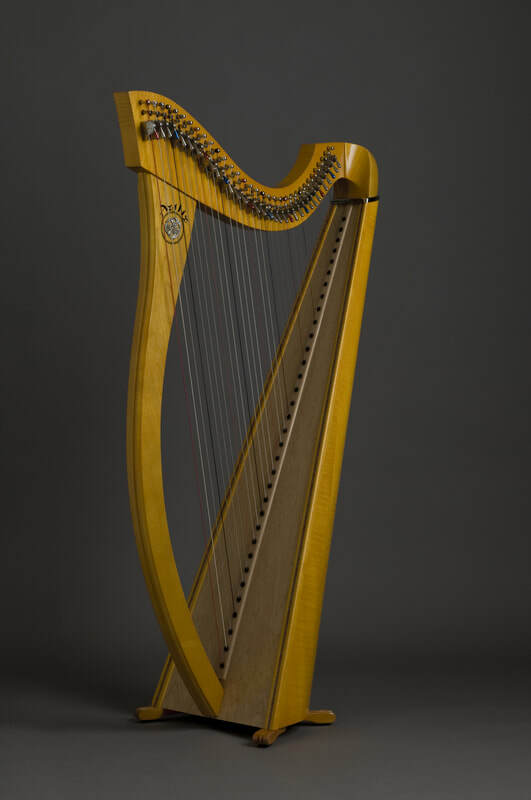 Elspeth continues to write music & song for the Scottish harp.